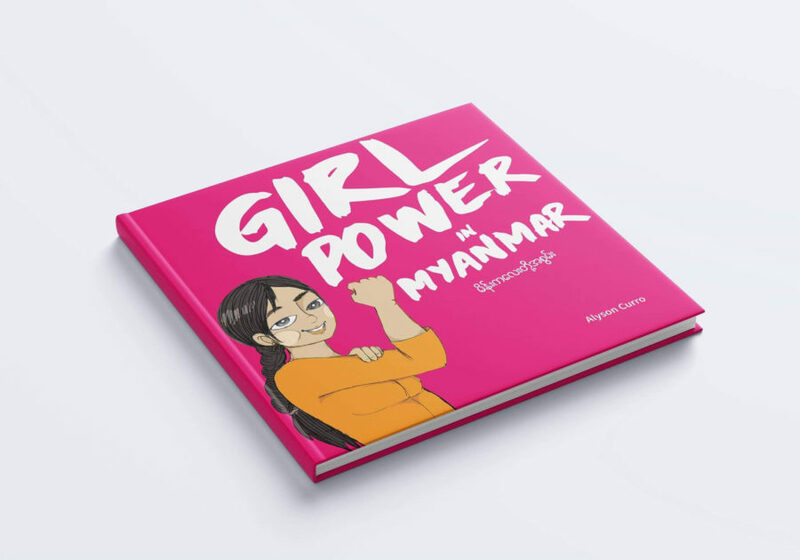 Girl Power in Myanmar is a children’s book celebrating the lives of 14 women rocking their communities. The team which created the book will exhibit artwork from the book at the gallery and signed books will be for sale at the event with chances to donate to worthy causes too. 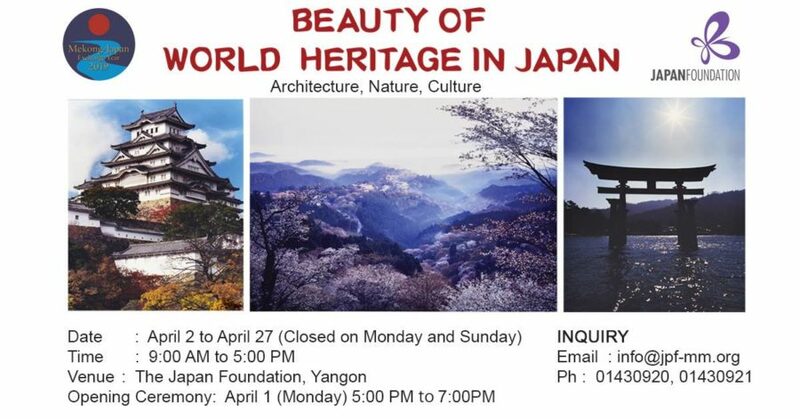 This is the first event Myanm/art will hold at their new gallery space in Urban Asia Centre. 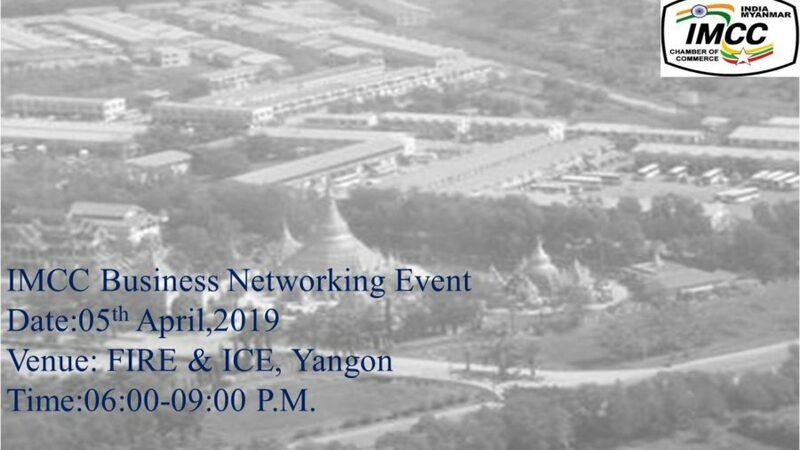 The India-Myanmar Chamber of Commerce (IMCC), has organized a networking event for IMCC members (10,000 kyats per ticket) and non-members (20,000 kyats per ticket) to offer a chance to connect with like-minded peers and to catch up with business associates and friends. Tickets include a free flow of Indian starters and beer. If you want to dance late into the night to tropical music, get to The Penthouse this Friday night. 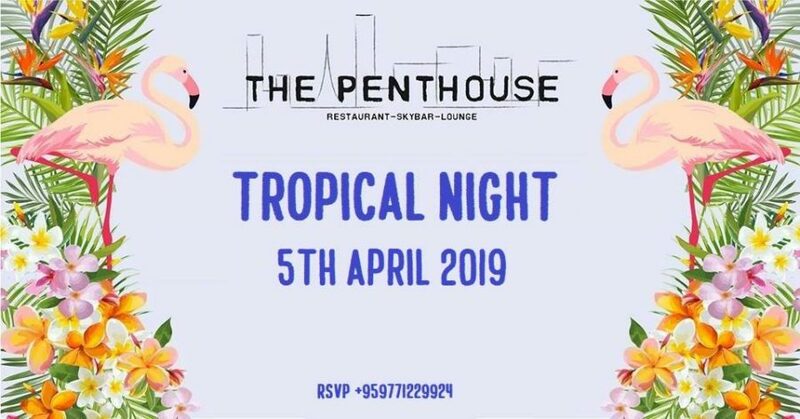 Enjoy tropical cocktails and a DJ spinning the best tunes to suit the tropical mood. Free entrance. Joining in with International Social Circus Day events being held around the world, Social Circus Myanmar is bringing together children and youth from local groups across Yangon such as Scholarships for Street Kids, Mary Chapman School for the Deaf, Parami Monastery Achool and Nyein Chan Thar Yar Islamic School. 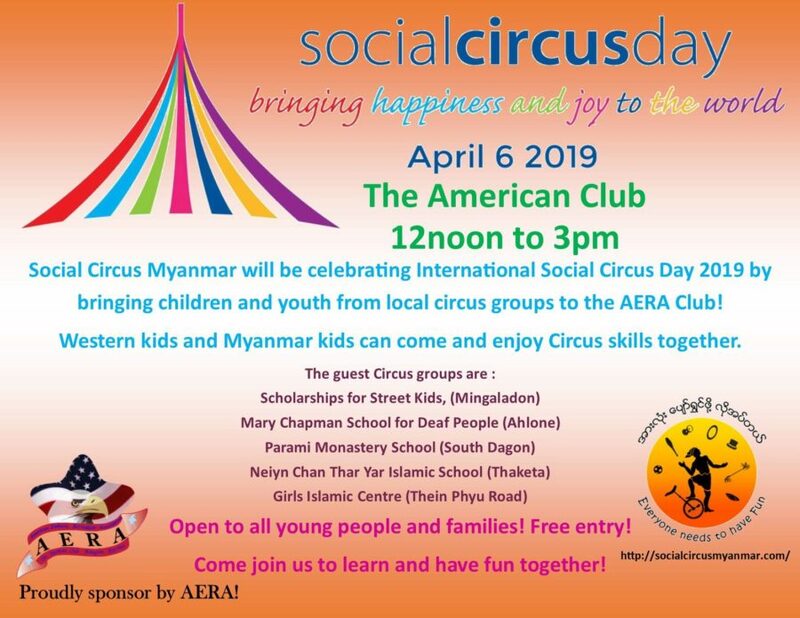 The event will be held at The AERA Club where all children—local and international—can come and join in the circus fun and learn some circus skills. As part of the lineup of regular events organized by Zayat, an uptown co-working space, there will be end-of-year event looking back on successes and reflecting on the year that was, and giving inspiration to go on into the next year. The talks will be held in Burmese and English and speakers will include representatives from the hottest local startups including Flexible Pass, Pencell, Doh Eain, Save the Library, Clean Yangon, Career Assessment Studio and more. 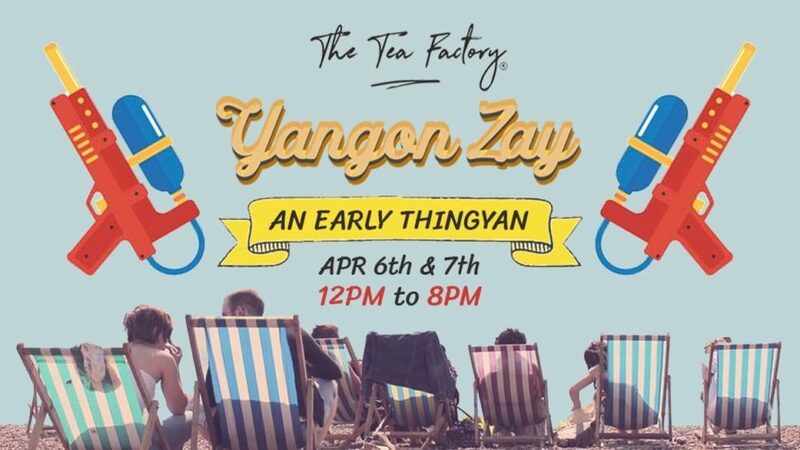 In preparation for the biggest festival of the year, Yangon Zay will have a Thingyan special weekend with extended market hours and special water activities. Yangon Zay is a regular event held over two days every second Saturday and Sunday and following a sustainable concept. Local brands and food feature alongside modern food and drinks concepts and there are plenty of activities for younger family members too. A new edition to the local market scene, this is an evening event held in the idyllic setting of Sapphire Rooftop Bar and Lounge. 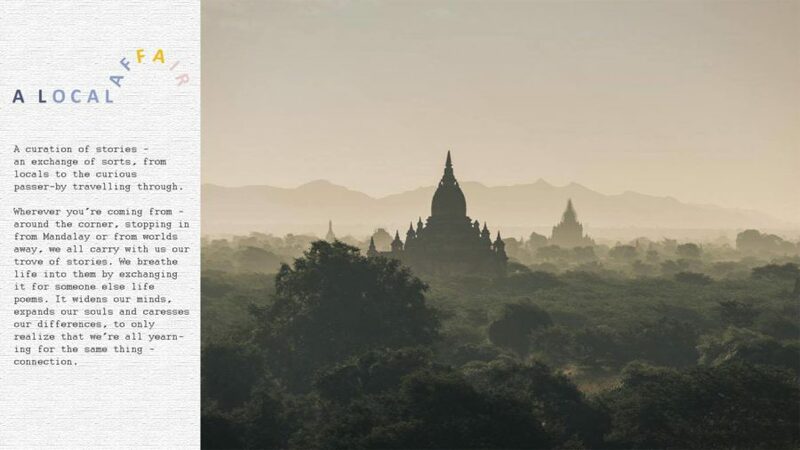 Its mission is to inject fresh energy and socially aware discourse into the Yangon flea market space by promoting ethically sourced, locally produced, quality arts, crafts and culture with an emphasis on the backstory. This is a popular one-day music festival held in Yangon featuring famous local and international DJs playing everything from Dubstep to Jungle and Psytrance to House. 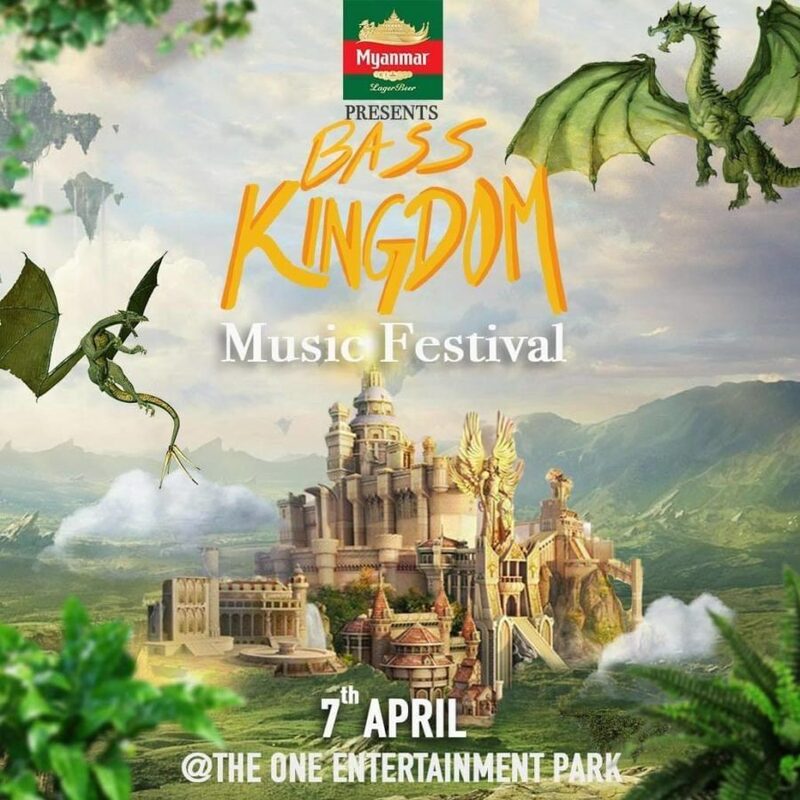 Local artists include Da Leonz, Snake Race and Tronic Crew and international acts include Wiwek, Dolf, Yellow Claw and Moksi. Ticket prices are 30,000 kyats (general admission) and 65,000 kyats (VIP). 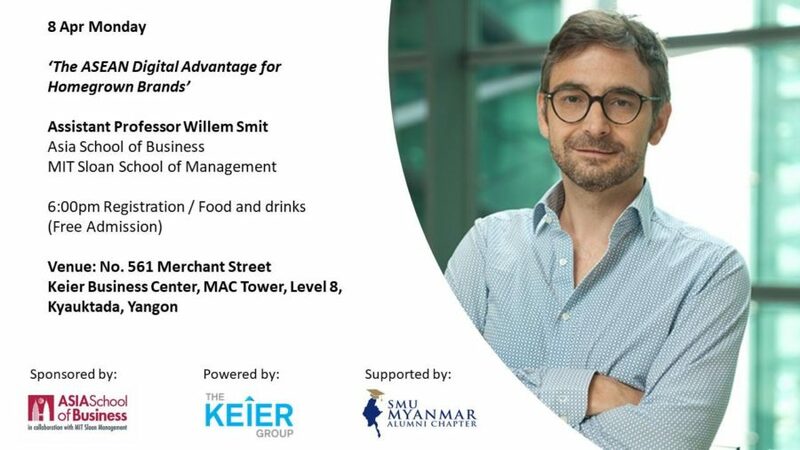 This is a free-to-attend lecture by Prof. Willem Smit of the Asia School of Business and MIT Sloan School of Management who will talk about how the growth patterns by which firms internationalize have not only accelerated but have also radically changed, and explore what it takes for ASEAN brands to compete abroad and how this strengthens the status at home. This lecture will be followed by a panel discussion. Pre-registration recommended.